Let's set the scene. Your team is on the cusp of bringing the championship home. You're about to walk into the arena to witness glory. You hand your ticket to the attendant to scan in, pushing towards the gate. The roar of the crowd intensifies. Your heart thumps in your chest. This is it. This is...not it? The ticket attendant stops you and gives you that look. Ticket rejected, flying in from nowhere like Hakim Warrick on Michael Lee. Just like that, your championship dreams are crushed. Instead of swimming in confetti, you now have to come to grips with money down the hole, watching on a TV at some dingy, overstuffed sports bar with everyone else. 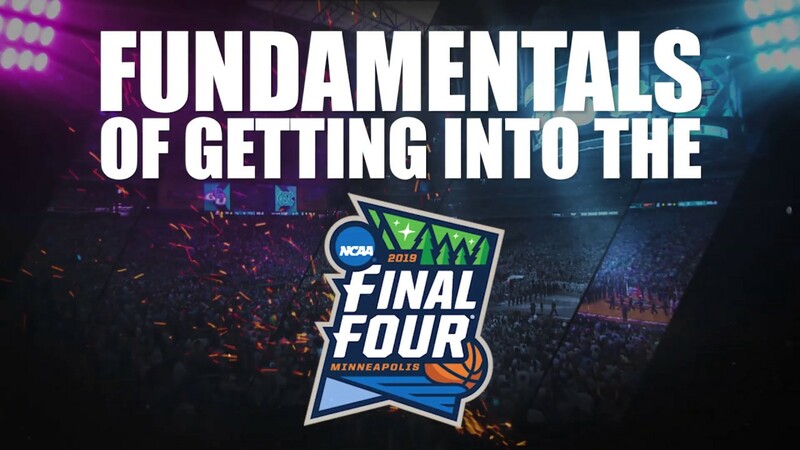 Incidents of fraudulent or counterfeit tickets at major events like the Final Four are in sharp decline, mostly as a result of digital ticketing. But they still happen. Here’s some advice to make sure it doesn't happen to you and you get into the game. I get it, this is easier said than done. Putting in for the Final Four random selection process requires planning far in advance. Moreover, you won’t know if your team will be competing to cut down the nets until less than a week before the actual games. That being said, the best way to know the money you’ve invested will go towards legitimate tickets is to buy through the NCAA (or the official site of whatever event you may be attending). The NCAA also operates a fan marketplace. Fans can safely and securely purchase tickets from other fans whose plans change or whose teams flame out early. A digital ticket is not just your ticket anymore. Most technologies now make it your full digital ID. It’s unique to you and only you as your “ticket” is a revolving barcode that is constantly changing. An official digital ticket, guarantees you will get in the arena. Any number of things can happen to a paper ticket, though, and anyone with a camera phone can grab a barcode, so a full identity solution is key. Paper can be lost, they can be stolen or left in a hotel. A PDF version printed at work can be photocopied or scanned. At that point, it becomes a race to the scanner. That barcode is up for grabs, but a digital barcode is your identity. 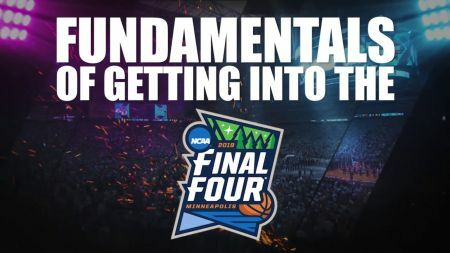 Going digital also starts to eliminate a phenomenon unique to the multi-session world of the Final Four. Anyone who’s attended a Final Four has seen this old routine, where fans from the losing side of the first game Saturday spend the rest of the evening wandering the concourses selling their tickets for Monday’s now-meaningless championship game. As the NCAA goes fully digital, this practice will fade. Josh Logan, Director of Marketing and Ticketing/Championships for the NCAA, says tickets are about 50 percent digital, with a goal of eventually making that number 100 percent. It’s pretty simple math: When there’s more demand, there will also be a higher supply of people selling counterfeit tickets. A Final Four populated by top seeds will increase demand. If most of the participating schools are within driving distance of the Final Four site, expect prices and overall demand to grow. This happened in 2009 and 2010 when Michigan State (Detroit) and Butler (Indianapolis) played for a championship in their backyards. But look to 2015 as the perfect storm for driving up demand. That year, undefeated Kentucky joined Duke, Wisconsin and Michigan State in Indianapolis. Two members of basketball royalty, four schools with massive alumni- and fan-bases, three of which were a reasonable drive away. Now, the NCAA could put the Final Four in Antarctica, and Kentucky fans would turn that arena blue – but put them a reasonable drive away with a shot at history and you have the recipe for secondary market bedlam. When it comes to this year, we’ve already seen about a million headlines about the Zion Williamson Effect on ticket prices. And that was during the regular season. Imagine the hysteria if Zion and the Blue Devils arrive in Minneapolis on a collision course for a championship showdown with North Carolina. Whether it’s by a list that Craig built or an online ‘neighbor’ that claims to be next door, DO NOT BUY UNOFFICIAL SOURCES. This also goes for street scalpers. The risk is simply not worth the (potential) reward. The chance the tickets are fake is way too high. It’s natural. You’re excited about this once-in-a-lifetime opportunity. And you want to brag to all your friends that you’re going to the big game. So you take that perfect snap of the shiny tickets spread out on the table. And now you’ve gifted fraudsters an opportunity to steal your tickets. Once you share those barcodes with the world, anyone can copy them and steal them. And then it’s another race to the arena. If your thief beats your there, your tickets won’t be worth the laminated paper they were printed on. Be social media savvy or risk watching at a friend’s house. Let’s rewind and look at the scenario now. You hand your ticket to the attendant. There’s a slight pause as they scan the barcode. This is it. For the championship. The attendant gives you the thumbs up, and you’re in! You sit down at your seats and enjoy the game with the rest of the fans. Time to bring it home. An avid sports fan, Brian Peunic has over 30 years of experience in sports from all aspects of the fan experience. 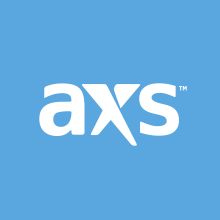 He is the SVP of Sports, Arenas and Stadiums for leading ticketing provider AXS.